I have finally got some information to share! 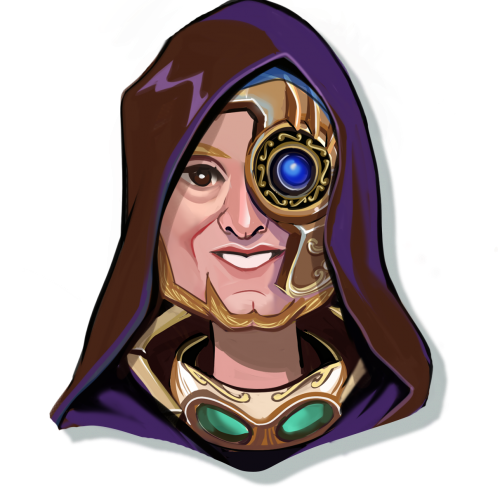 There will be a new Chief Moderator here to help you with all things Aetherlight going forward and that is.... @Anakin_Steamwalker! Steamwalker was with Scarlet City Studios waaaayyyy before I even thought about applying to work there. He has been a World Builder nestled in a little studio in Auckland, New Zealand but is now the go to person for anything Aetherlight. He currently lives in America where he has been travelling the country, attending conferences, conventions and events, helping to make connections that benefit The Aetherlight and spreading it's message to a bigger audience. He believes in the Aetherlight and is driving to make it all it can be, he also believes that the Community is a big part of that so he will need your help to ease into this role as well as looking after his other roles within the Aetherlight sphere. This is the official handover and I trust that you all will help him, welcome him and can continue to work together to make this game amazing! Welcome to the Aetherlight forums, @Anakin_Steamwalker. This place can get pretty crazy sometimes, with role-plays, randomness, and of course, lots of questions and ideas about the Aetherlight. And for the record, all of us here are a little crazy in some way or another, so I apologize in advance. By the way, awesome name. Hey there, @Anakin_Steamwalker. It's nice to see the role of "Head moderator" being filled again. I'm @Xonos_Darkgrate1 (as my nametag would suggest), and I'm one of the forums regulars here. Regulars, as in, I spend WAY too much time here. and aspiring to be a moderator. Anyways, almost everyone else here loves either drawing, writing, or Star Wars (as I'm sure you do too ). Other than that, welcome to the forums! I look forward to results of your stay here! If you need ANY help or advice concerning things here, feel free to @ me and I'll do my best to answer. Well hello Mr. @Anakin_Steamwalker, sir! We're all sad to see @Goku_Ironheart go, but like @Xonos_Darkgrate1 said we're glad someone is back in the "Head Moderator" position. I can't wait to see what you have for the forums! Glad you're here! Yay! Welcome @Anakin_Steamwalker I look forward to you being Head Moderator and hope to get to know you better then I knew the previous Head Moderators. Welcome to the wide, wonderful, chaotic, surprising, and art-full Aetherlight forums! I can't wait to get to know you and I appreciate your help. Good day, @Anakin_Steamwalker, I welcome you! I am sure we will have amazing times together. Welcome to the forums @Anakin_Steamwalker! Is this the guy, @Goku_Ironheart? Welcome to the forums @Anakin_Steamwalker!! I hope you don’t get too weirded out by all of us crazies. Hope you enjoy your time here. We're all here to help and support you and BE MODERATERED!!! Welcome to the Forums!!!! It's awesome to have you here!!! It'll be great having someone as the head moderator again!! Hello! @Anakin_Steamwalker. How did you get that mask? I’ve never seen it before. Hey everybody, it's great to be here. I have been around for a long time. Some would say I was there when the Great Engineer founded Aethasia himself. Not because I was - because I wrote it. It has been my joy to see people around the world embrace the Aetherlight, it's story and Aethasia. Both on the road at conferences and conventions and here; in these incredible forums. Thanks to all of you these forums have become a place of ideas, community and inclusion for people playing the Aetherlight - people come here for help and they get it - and Im not just talking about help with the goats under the flying L.
I'm excited to be a part of this community with you. My goal with the Aetherlight from the very first day was to see people get pumped about the Bible and to build a world worth saving! Hope fully we have, and will continue to do those things for a very long time. @Anakin_Steamwalker, I have a question, HOW DO YOU HAVE 5 LIKES ON 300 POSTS IF U DID NOT POST MORE THAN ONCE???? ?